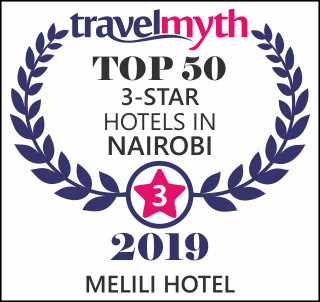 Inside Nairobi lies the charm of one of Kenya’s most prestigious Hotel ”Melili Hotel”. Accessible from both Mombasa Road and South B this warm and enchanting destination provide all round relaxation. The Serenity provided waits to provide you with an unforgettable adventure amongst the spectacular scenery of the beautiful Africa. Melili Hotel lets you try all the emotions that Africa has to offer, together with Oriental & Classic/African style and tradition on offer. Located 300Meters off Mombasa Road on Melili Road in South B Estate, Melili Hotel lies on a strategic location easily accessible away from the buzz and hustle of the CBD yet so near to the CBD, 10 minutes drive to the Jomo Kenyatta International airport. Our exquisite rooms provide modern rooms each with private bathrooms, satellite TV work desks and tea/coffee facilities are provided. Our exquisite restaurant serves both local & international cuisine with an all day menu.